Holiday Shopping: Did anyone create an emotional connection with you? 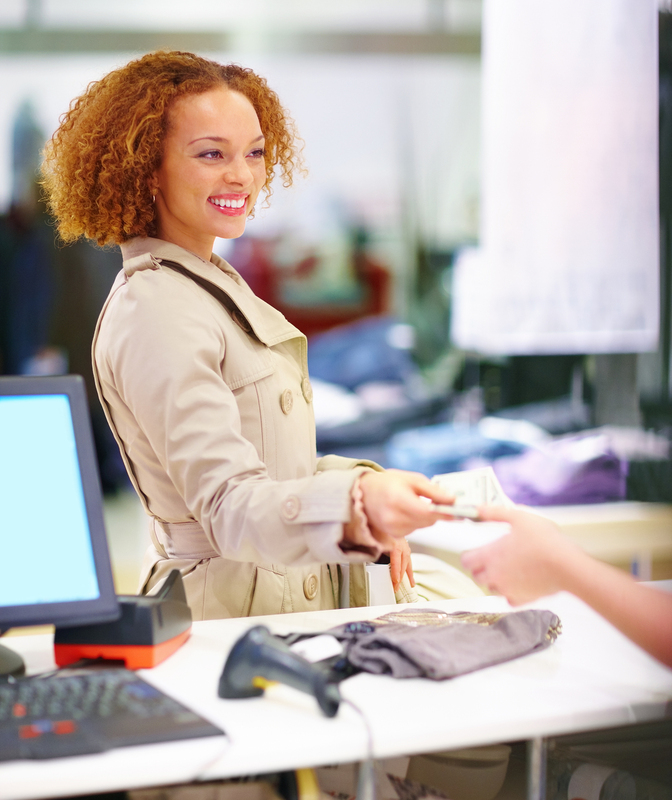 In a recent article entitled Waging the War for Shoppers’ Wallets, researchers at Gallup have identified that the victors in retail will be the ones who create an engaging customer experience. Their research shows that fully engaged customers spend $20 more per transaction than average customers at the same stores. A retailers’ most effective strategy for fending off competitors is focusing on creating an emotionally engaging experience for their customers. This past weekend kicked off the official holiday shopping season in the United States. Over 138 million people in the U.S. alone set out to do some shopping. I know I did, maybe you did too. All told, I visited twelve different retailers over the past three days and each store had a chance to make an emotional connection with me. Most offered good service, but nothing beyond what you would expect–the place I bought my Christmas tree, the place I bought gas, the online purchase I made, and the book store I visited, for example. Some got close–the place I bought coffee, the place I bought groceries, and the place I had lunch. And two stood out for me—the place I picked up my dry cleaning and the place I shopped for a present for my father-in-law. I want to highlight those two stores as examples of how easy it is to create a connection with customers and also celebrate and recommend them both to you. The first is Town Center Cleaners in San Diego. How do they create a connection? Through customer intimacy. They know who their customers are and they demonstrate it on a daily basis. For example, they are already hitting the button to pull up my shirts the minute they see me getting out of the car. They always have a friendly greeting, check on how your day is going, and always make sure that Wednesday is okay for getting my shirts back. (And they never ask how I like my starch because it’s all listed on the customer record.) They do it so well, every time, that it has just become a welcome part of my Saturday routine. The second example is a little more subtle. My wife and I were checking out at a local sporting goods chain after looking for some running apparel for my father-in-law. (We didn’t buy anything for him, but I snapped up a great deal on a golf bag and umbrella.) As we were checking out, the cashier, an assistant manager filling in during lunch break asked us if anyone helped us with our purchase. My wife indicated that Sunny had helped us. Pretty standard except for what the assistant manager did next which was compliment Sunny on the good work. It was a genuine expression of appreciation and it made me feel good about the assistant store manager and the store itself. Way to go, Sports Authority in Carmel Mountain! What was your experience shopping this weekend? Did anyone create an emotional connection with you? Tell me, and the rest of the world, by adding a comment to this post. Let’s catch people doing things right today! PS: Everyone who posts by the end of the day today will automatically be entered for a raffle to win a personally autographed copy of Raving Fans, Ken Blanchard’s classic customer service book, or an advance copy of Lead with LUV, Ken’s new book with Colleen Barrett of Southwest Airlines coming out next month. I’ll announce the winner first thing tomorrow morning. November 29, 2010 in Customer Devotion, Customer Loyalty, Customer Retention, Customer Satisfaction. Yes, I felt valued from Wal Mart on Black Friday when they passed out cookies and bottled water as we stood in line. Hi Jenny–thanks for catching Wal Mart doing things right! Hi Jenny–Congratulations! You are the raffle winner of your choice of a personally autographed copy of Ken Blanchard’s Raving Fans or Lead with LUV book! Please contact me at david.witt@kenblanchard.com so I can get your shipping address and send your book out. I am an emotional intelligence coach. Recently i was taking part in a transaction for a new house and i notioced that the re agent referred most of his selling leads to the needs of my newborn daughter and was giving her a lot of attention and greetings. This had a profound positive effect on my companion and i felt much more relaxed too, even if i am an expert in emotionally intelligent rapport building and guidance. It is useful to see how this approaches can lead to a much more pleasant experience. Hi Alessandro–thanks for sharing your experience–it’s the small things that make all the difference. Sí, esta tarde saldremos a comprar una imagen del Niño Jesús, que nos recordará la Encarnación del Hijo de Dios, para la salvación del mundo.